Sherry FitzGerald is offering No 37 Boireann Bheag to the market for sale by private treaty. No 37 is a wonderfully spacious three bed end of terrace home built by O’Malley Construction in 2006. This house is located in a quiet cul-de-sac. The accommodation includes entrance hall, spacious kitchen/dining room, bright living room with gas fire and double doors to rear garden, and downstairs wc. On the first floor there are three bedrooms; the main bedroom has a fully tiled en suite and the second bedroom has double doors which lead to a balcony. A fully tiled main bathroom completes the upstairs accommodation. The BER is C3. 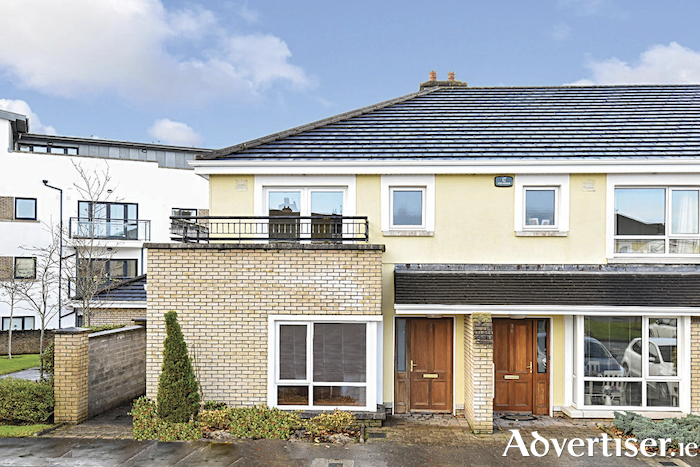 Boireann Bheag is a popular development with playground, large communal greens, and local shops and services. Bus routes are available to the city centre with easy access to both the M6 and M18 motorways. Asking price is €260,000. This is a great opportunity to acquire a bright, spacious, home in Roscam and viewing is recommended.